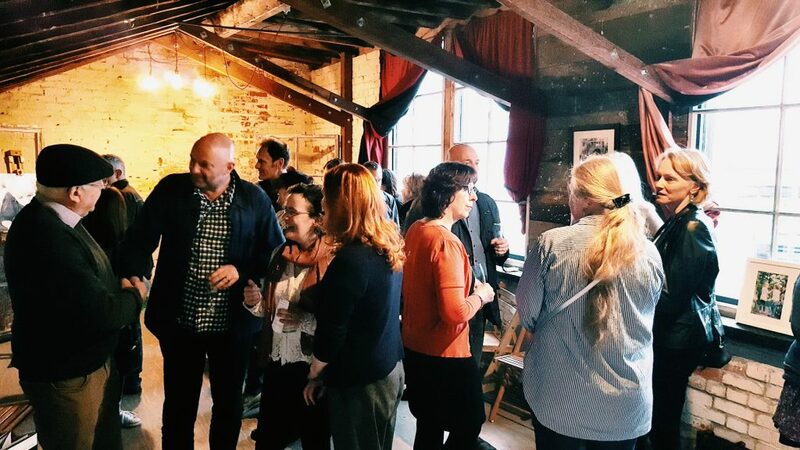 We recently housed an exciting launch party for Simona George Photography and managed to speak to Simona De Michelis, Photographer & Managing Partner, to find out more about her company! We held a launch event at the Studios for our new family portrait business, Simona George Photography. It’s family photography with a difference! as I spend time with a family, sometimes up to a day, which enables me to capture the real moments between people. The launch went very well and people loved the studios. It was great for me as a photographer as there was plenty of room to hang very large prints – which always have a wow factor about them. By googling! I originally called to ask about using the venue to shoot headshots for a company, as I loved the wooden walls and could see them being great as a background. Then as I was scouting venues for the launch I remembered Copperdollar and thought “oh that could be a great place for our do!”. And it was – the guests all commented on how quirky and perfect the venue was. The thought that has gone into keeping the original features of the property whilst making it available to use as a modern space. We hired the whole venue, both rooms and the kitchen, and had about 60 guests and the space worked beautifully. The artwork was displayed upstairs and we used the downstairs room as a play area for the children that attended – we had various games organised (including a treasure hunt!) that kept them merrily entertained. From my job as a marketing manager. I would hire photographers and thought…I’m sure I can do that. I was looking for something more creative and then looking back realised I’d always taken decent photos and always had a ‘proper’ camera so the basics were under my belt. I then spent a year working on my photography diploma in London – I enjoyed that year of study hugely! It was great being a student again with some real idea of what I wanted to do. People’s smiles and “Ahhh” sounds when I show them their prints. There is something special about holding a photographic print – they are so much more real than their digital counterparts. The father of one family I photographed recently mentioned how the moments I captured for them were a precious record of their family life and that he was aware how quickly these ordinary moments fade with time. But that now, because of the artwork I created from the day, he has a time capsule to look at whenever he wants to enjoy those moments again – that really is why I do what I do so it was amazing to hear that from him. If you’re looking to hire a space for photography, launches or anything else artistic then get in touch!